The comprehensive study, analysis and action plan combine creative visions from the community with current market information to redevelop the Woodhaven neighborhood into a sustainable and livable community with a balanced mix of uses including new single family homes, new retail uses and office space. 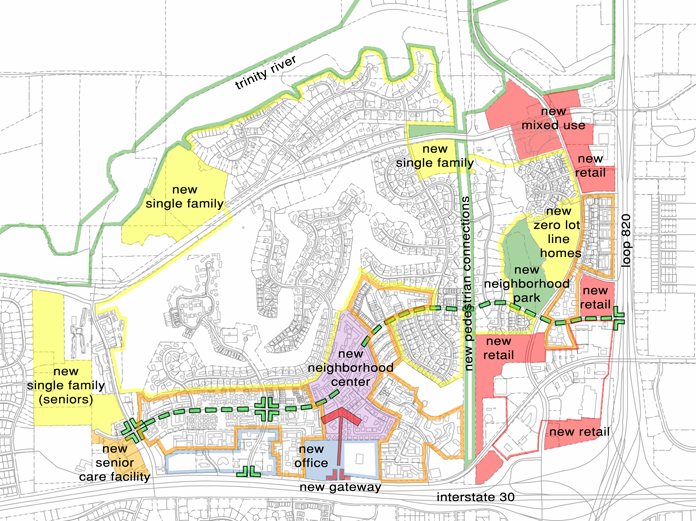 The plan considers historic trends and evaluates existing physical, demographic, land use, and economic aspects of the neighborhood. As part of the implementations strategy, the master plan was vetted with feasible redevelopment tools and financial models to ensure market feasibility and encourage private/public investment. The project was designed as a development model to be applied in other areas of the City with similar challenges and opportunities.